For some people, the Winter Blues is a mild transitory issue. You miss someone who is not there or you wish something were other than it is. But for some people, this becomes a severe emotional problem. 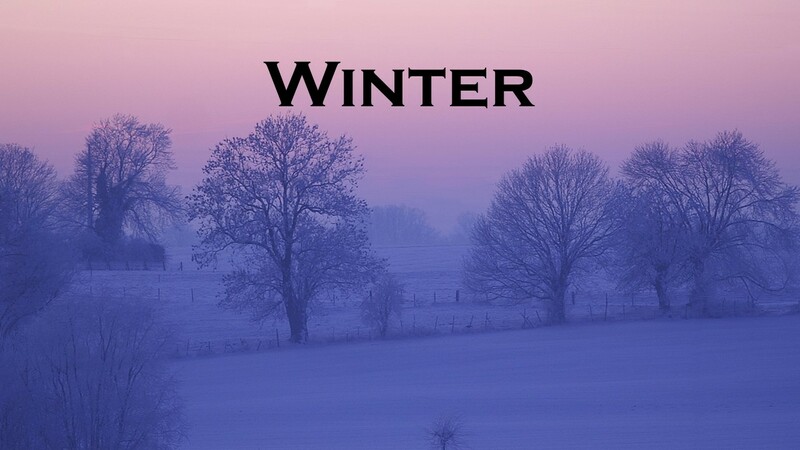 The Winter Blues sometimes is called Seasonal Affective Disorder or more precisely it is Major Depressive Disorder with seasonal features, a diagnosable mental illness. There are a handful of treatments and the one that is right for you should be chosen in consultation with your doctor, psychiatrist or therapist. Each treatment has its advantages and its limitations. Light therapy for seasonal affective disorder. One group of theories about winter blues has their cause as a reduction in the amount of sunlight that occurs during the winter. More light, so the thought goes, and you should be less depressed. The cause could be just the amount of light but it can also be changes in the way your body reacts to the light level so some people are way more sensitive to changes in light levels, light intensity and the amount of sleep they get. Just leaving on a few lights in the early morning or evening may help a few people but most light therapy involves special lights of high intensity which are close in color and intensity to normal daylight. The drawbacks to light therapy, above and beyond the cost of special lights, are that to be effective you may need to devote a lot of time on a very regular basis to sitting in these lights. Most often this is done first thing in the morning. If this works for you, and remember it does not work for everyone, the results will fade in 3 to 5 days if you stop sitting under the lights. Once you start light therapy plan on continuing it until the winter season is over. Some people react well and quickly to antidepressants. Not everyone gets the same benefits from the same meds. You need to work with your doctor on this and start early, take the meds as prescribed and keep them up until any chance of a relapse of your depression is passed. Therapy can reduce seasonal depression. People with seasonal features to their depression, Winter Blues, in particular, are prone to the same sort of thinking errors that people with other kinds of depression experience. Therapy to correct negative or unhelpful thinking can reduce Seasonal Affective Disorder. Self-care reduces the impact of seasonal affective disorder. More exercise, better diet and being around a positive support system can help you avoid or reduce the symptoms of the Winter Blues. Relapse from this condition, like recovery from most issues, requires a program of relapse prevention that includes management of internal triggers like sleep, hunger and emotions as well as management of your contact with outside things such as people and places. Work on staying healthy and being around healthy supportive people. Any or all of the treatments above can be combined. Medication is most often combined with therapy and self-care. Having a strong support system is especially important if you experience Winter Blues. If you are sad, down or depressed this Holiday season, whether it is because of Winter Blues or some other reason, please take good care of yourself and reach out for help when you need it. This entry was posted in Depression and tagged Counseling, David Joel Miller, Depression, emotions feelings, Light therapy, major depressive disorder, Mental illness, Seasonal Affective Disorder, Therapy, winter blues by David Joel Miller. Bookmark the permalink.